Vocal Harmony was set up in 2012 by local musician Bobby Cole. Wanting to create a fun and exciting choir format, Bobby started the first choir in 2012 opening it up to anyone and everyone. There are Vocal Harmony groups that meet in Swansea and Llanelli, with two brand new groups opening up in Cardiff and Bristol. The choir has a policy of no auditions, no need to read music, and at no point will you have to sing on your own – it’s a very fun and relaxed choir open to everyone! Weekly rehearsals take place in school halls and community centres leading up to an end of term and end of year concert that is completely optional for choir members. The choir run’s three terms each year, and at the end of the year they put on a large showcase concert, bringing together the Vocal Harmony groups from neighbouring cities. Our big dream is to be able to book out a large space within Cardiff and bring all the Vocal Harmony groups together for one night! The very first Vocal Harmony group has sung at Swansea’s Grand Theatre, performed flash mobs in shopping centres, and even performed in museums and train stations! Vocal Harmony leaders can also provide corporate and staff building workshops for local businesses! Each Vocal Harmony is set up and partnered with a local charity. Both the Swansea and Cardiff branches support Ty Hafan, with the Llanelli choir supporting the Alzheimer’s society, and the Bristol choir supporting St Peter’s Hospice. Money raised from the end of term / end of year concerts goes towards the amazing work that these charities do. Vocal Harmony is quite different to many other choirs. They teach by call and response (so each line is played and sung to a section and they repeat it until they have got it) which means there is no complicated music to read. They also sing modern and contemporary music, so no traditional choral arrangements and no hymns. Over the last two years they have sung tunes by Michael Jackson, Take That, Stevie Wonder, Fleetwood Mac and many more! Vocal Harmony is a very relaxed and fun choir, open to everyone. We have all ages, both male and female, and we pride ourselves on making singing fun, relaxed, and a great way to spend an evening. 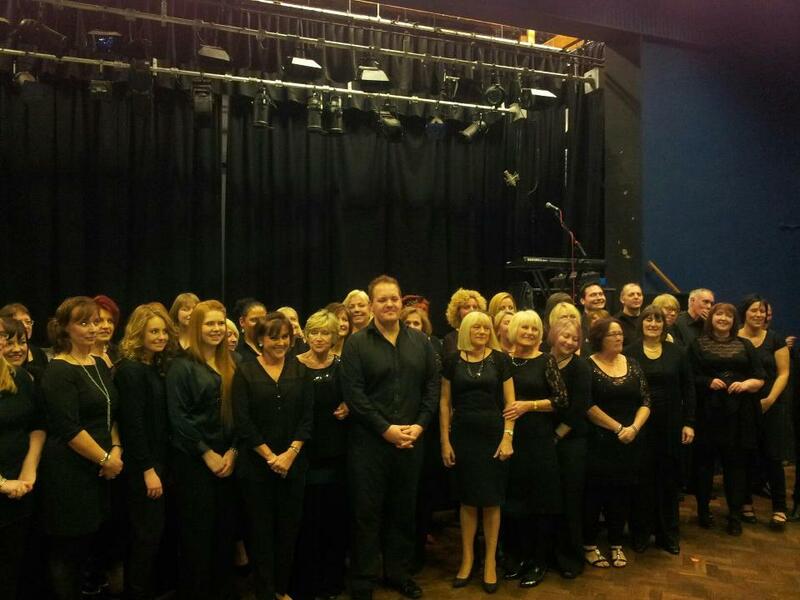 Vocal Harmony Llanelli, the Coleshill Centre. Wednesday 23rd September, 7:30pm. Vocal Harmony Cardiff, Whitchurch Community Centre. Tuesday 22nd September, 7:30pm. Vocal Harmony Bristol, Fairfield High School. Wednesday 23rd September, 7:30pm. For more details check out www.vocalharmonychoir.co.uk.